Volunteering abroad can present a myriad of benefits from immersion into a different culture, learning a language, trying new ethnic cuisines, adding to your global travel resume and making friends and acquaintances. This is without a doubt, life changing and will in the long-run impact several human lives. When you volunteer abroad it enables you to donate those skills to someone else in need. There are a variety of volunteer opportunities available abroad requiring varying skill sets from teaching English as a second language, providing medical care to impoverished communities, building homes, teaching elementary level education or trade skills. 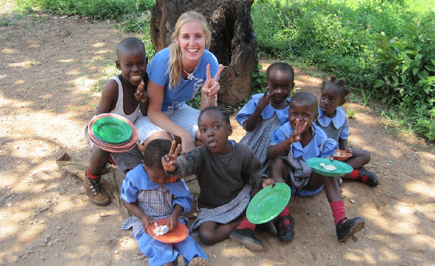 If interested in learning a new language, volunteering abroad is highly recommended. Communication is usually an essential part of the job requirement and while volunteering, you get the opportunity to exchange a few words with locals in their native language, further enhancing your foreign language skills. The program requires great communication skills and interpreting the foreign language is essential. Moreover, the traveling experience enables you to see outstanding historical sites. Eventually, making a list of the tour locations becomes an important chronological history, which also encourages others to voyage and contribute their time and skills. Also consider the benefits of making new friends and acquaintances. This entry was posted in Uncategorized and tagged volunteer abroad, volunteer abroad benefit, volunteer abroad experience, volunteer programs in Ghana. I want to a teacher when I grow up, so that I can help my family and friends in my village – words of Florence – Florence is 9 years old, living with her mother, two siblings and Grandma is Bomponso village. She loved to read, play with her friends and support her mother in the kitchen. 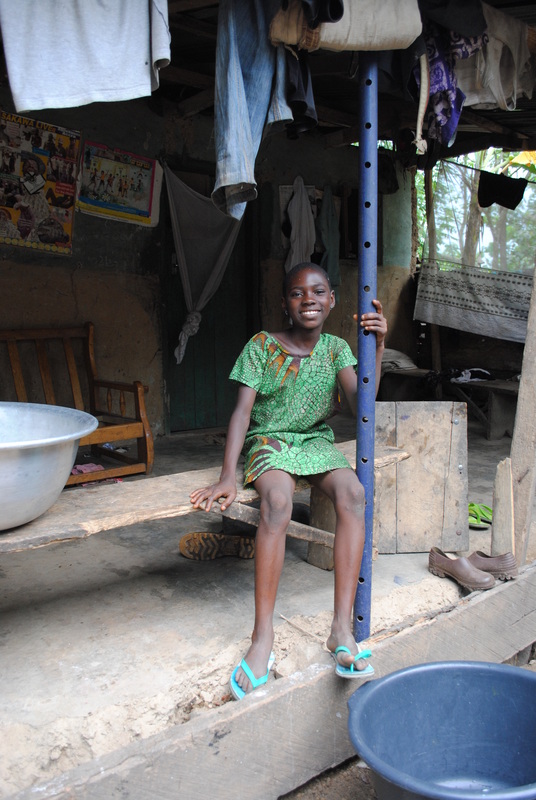 She also helps her siblings after school with their home work and is a beneficiary of HAF’s Mobile Library Project – The mobile library project is an initiative of HAF which aim at promoting quality education and literary in rural villages in Eastern Ghana. Teaching children how to read, write and speak English plays a key role in every community’s development. Most children like Florence wouldn’t have the opportunity without HAF’s intervention. Our purpose is only achieved through your individual contribution and support. We focus our greatest effort in education, since it’s what most communities lack and due to their extremely low-income potential. Every child has the right to education and together we can meet the needs of children like Florence her dream is to become a teacher, support her family and other children in her village, who somehow are out of school. You can do a little as donating a book, which will make a real in difference in the life of a child in need. One reading book to a child means, helping a child out of school learn something new, we are helping to bring learning materials and resource to better their education. Many children like Florence do not attend school, because their parents can’t afford it, the little income they make from farming produce is used to prepare the family’s meal, with nothing being left for school or books. We can make a real impact in the lives of these children just by contributing our time and effort to organize a book drive, donate school supplies and or fund for much needed materials to support our grassroots effort. You can donate reading books, test books, drawing books, English reading books and vocational materials. Books donated will be used by the children and youth in a rural village in the Eastern region of Ghana.Please contact us at info@haidfoundation.org if you are interested in donating books. This entry was posted in Uncategorized and tagged book drive for charity, donate books, Ghana, mobile library Ghana, teaching volunteer.